In the world of American politics, elections on odd numbered years don’t get too much attention. Neither the Presidency nor anyone in Congress is up for election and most states only have low-level state and local elections (except New Jersey and Virginia who have governor races this year.) Perhaps this is why this one strange mayor’s race in the small rural town of Saxonburg, Pennsylvania got any press at all. Incumbent mayor Jody Pflueger initially decided to run for re-election this year but now as election day nears she is begging the town’s residents to not vote for her. Apparently she and her husband found their dream home a few towns over which now means that she’ll no longer be living in the town she’s the mayor of and she doesn’t want to be the mayor of a town she doesn’t live in. It goes to show you that finding the perfect place to live can dramatically change your life for the better even if that transition can be really awkward. Still it’s kind of amusing to see someone who is serving in an elected office actively campaign for the candidate running against them. Recently, there have been numerous concerns about staged homes despite the fact that staged homes have significant value in the NY real estate industry. These concerns have caused buyers and sellers to reconsider the value of the practice. Some of the major concerns of staged homes will be discussed to enlighten buyers and renters on the issue. When homes are staged, 51 percent of people are distracted by the important aspects of the home. For instance, the smell of baking cookies can be a great staging tactic if the cookies are not covering a mold or mildew smell. Light music can be beneficial in staging if the music is not covering the sounds of clanging pipes. Pictures and rugs are useful in staging as long as the decorating items are not used to cover holes. Home stagers should repair items and make the home seem livable rather than a simple distraction from true problems that exist in the home. Recently, staged homes around Detroit and in other areas have been vandalized or robbed. This is a concern of both buyers and sellers. Many sellers lose more money when the home is robbed or burglarized while waiting to be shown. Thieves steal appliances and furniture when the home is not occupied. Take extra precautions when staging a home to prevent theft. A house-sitter, home manager, or home alarm system may prevent burglary or robbery. Staging a home will cost home sellers between five and 10 percent of the home cost or between $300 and $1500. This expense is significant if sellers cannot recoup the losses when the home sells. Typically, staging increases the selling price of a home, but this is not always true. In these instances, home sellers lose, and the investment is not considered worthwhile. Before staging a home for sale, learn more about the concerns and benefits of the practice. The more educated sellers are about the practice, the easier it will be to prevent negative events from occurring as a result of the common practice. Take extra precautions to prevent burglary and deception. Home staging is a useful tool for home sellers and buyers if it is not misused. This information was written by Megan Gates, web relations for Elliman, brokers for New York City real estate. 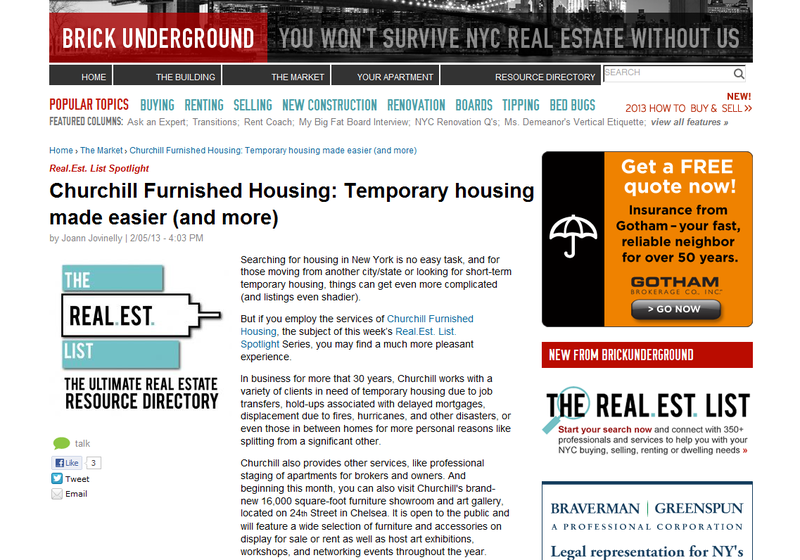 BrickUnderground is one of New York City’s most trustworthy and popular sources for real estate advice. With over 65,000 visitors to their website each month, they strive to provide educational information for those seeking solutions to their real-estate and apartment-dwelling needs in the Big Apple. This week’s piece on their “Real.Est. List Spotlight” was on Churchill’s furnished housing. It provides a great deal of detail on the ins and outs of renting one of our corporate apartments and we are grateful to have had the opportunity for our company and services be featured. Check out the full article here to learn more about what we have to offer our clients! Why Choose Churchill Furniture Rental? We are very happy to present our readers with a brief new video providing information on Churchill’s furniture rental. Please take a moment to watch this video and contact us with any inquiries. If you are in the market for a new home, as in brand new never lived in by another, MSN Real Estate has some great options available in their article, What you can buy — new — for $250,000. While some of these homes may require a bit more relocation then you were considering, it could be worth it for the value. 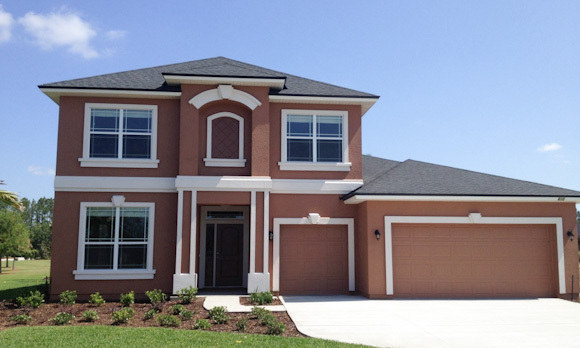 Take a look at diverse markets such as Oregon City, Oregon; Vail, Arizona; or sunny St. Augustine, Florida where you can buy the house pictured below; all 5 bedrooms, 4 bathrooms, and 2,917 square feet of it for only $247,900! Good luck finding a home that size and price in New Jersey or California! Now may be the perfect time to find your brand new dream home for a more affordable price than you had ever imagined. Churchill furniture was recently featured in an article named, “Best In Show: Staging A Home Highlights Its Positive Attributes” in the Homefinder section of the Star Ledger. The article highlights the competitive advantage that staging a home can offer, using several pieces of Churchill furniture to demonstrate successful staging techniques. Home stager, Janice Van Der Veken of Town & Country Home Staging utilized different Churchill pieces including sofas, area rugs, coffee tables, end tables, office desks, chairs and artwork in a beautiful, spacious home featuring elegant hardwood flooring and expansive windows throughout. 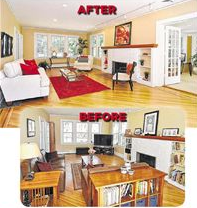 Before and after photos of two of the staged rooms in the home are featured below. Check out Churchill’s inventory of short-term temporary housing in New Jersey. Contact us at 866-255-0593 or NorthJersey@FurnishedHousing.com for more information. Churchill recently partnered with Brown Harris Stevens to stage a newly restored townhouse on the Upper West Side of Manhattan. 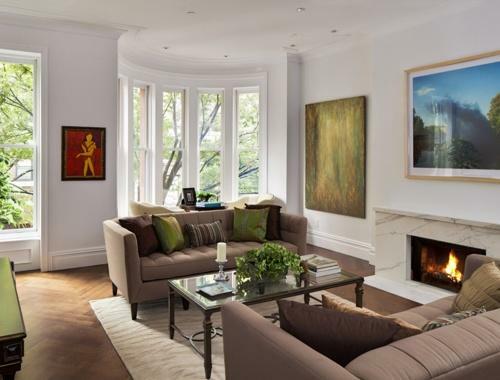 Stagers, Steve Moore and Lisa Lippman, used several pieces of Churchill furniture as part of the photo shoot of this beautiful home on West 77th Street. The townhouse can be seen in NYPost.com’s Dream Home section and features six bedrooms, eight bathrooms, several entertaining rooms as well as a garden level wine cellar, elevator and oak flooring throughout.